Bryan Tomasovich grew up in Wisconsin but now lives on Bainbridge Island. 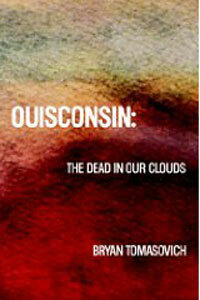 His first book Ouisconsin: The Dead In Our Clouds (2005) won an Emergency Press book contest already prior to publication. Ouisconsin tells the story of Tomasovich's family and their effort to become American as they live and work in the upper Midwest. Setting his family's personal struggles to verse, Tomasovich manages to paint a historic portrait of his home state. One reviewer on Amazon says "This is a collection of poems that grace the mind, stir the soul, and reveal small windows of insight into the human condition that is universal to us all". Another reviewer comments "Bryan Tomasovich has given us an immigrant's song of America. Read these incantatory poems to trace the arc of poetry from Whitman to Ginsberg to now, and be dazzled". Tomasovich is also editor of the journal Knock at Antioch University Seattle.